"We Thought We Could Smell A Lie..."
Major League Baseball Commissioner Rob Manfred's decision to reject Pete Rose's appeal to be reinstated in baseball is heavily grounded in the details of the 1989 investigation that led to Rose's banishment from the sport. This is Part One of an exclusive behind-the-scenes account of that investigation. You can listen at Wavemaker Conversations: A Podcast for the Insanely Curious. In the fall of 1988, the executives who ran Major League Baseball got a tip about the sport's all-time hit leader, Pete Rose. Fay Vincent, who would, the following year, become baseball's Commissioner, told me the tip came in a call from Sports Illustrated. "...they were going to run, in a week or two...a big expose´that they had broken a story that Pete Rose had been betting on baseball, as a player, and as manager. And it was going to be a blockbuster of a revelation." The tip arrived shortly after Bart Giamatti, the former President of Yale, had been elected baseball's new Commissioner. Fay Vincent was his deputy. "We were getting ready to take command of baseball," Vincent told me during a recent, exclusive in-depth interview for this episode of Wavemaker Conversations: A Podcast for the Insanely Curious. Rose was called to New York to address the accusation in person. Fay Vincent asked the questions. "I said to him, 'look, Mr, Rose ...We're here on an important matter. I'm gonna ask you a really critical question. And I want you to be very careful. And the place just went dead silent.'" "...I bet on everything. I bet on the dogs, I bet on football, I bet on basketball. I don't bet on baseball. I'm not that stupid. I'm not that dumb. I would never do that." How did Fay Vincent and the MLB's inner circle react? "We'd been around...I mean, we thought we could smell a lie. And not any one of us thought that Rose was lying to us." Vincent and company, however, did not rely on their gut. Vincent, whose life as an athlete ended at Williams College with an accidental four-story fall from an icy ledge outside his dorm room window that left him permanently disabled, (an upsetting and ultimately inspiring story that he recounts for me here), pursued a career in law, made a fortune as President of Columbia Pictures, and was well-connected in Washington. He identified the person who would conduct the investigation: John Dowd. Here is how Vincent described Dowd to Giamatti. "He's a prosecutor, just left the Justice Department. He's a tough cookie. He's a former marine. He's 6-foot-5. He's all marine. He's yes sir, no sir. ... He's all business, he's buttoned up. He's been around. 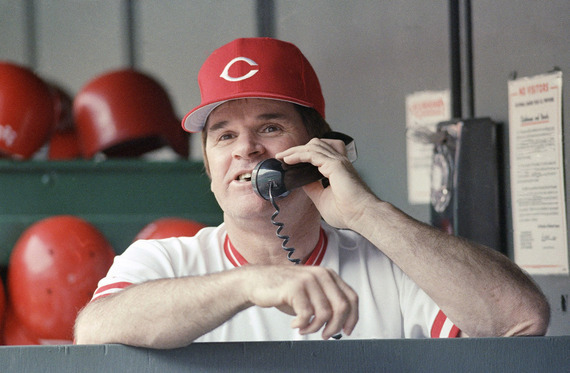 He knows this game, and he's very plugged into the FBI ..."
The evidence against Pete Rose began pouring in. "We put John to work, and in no time he called me, and he said, 'Fay, this guy's been betting on baseball all over here ... the problem is going to be...there's so much (evidence) that it's gonna take a while to drill out the cavity, but it's a big cavity.'" How big was the cavity? Deep enough to fill the volumes of evidence in the image below, and more. Here's just one of many stories Vincent shared with me in our Wavemaker podcast. "Rose was the manager of Cincinnati. He had an office in the clubhouse. As the game time approached...the game started, let's say, at 7:30. At 7:15, we found phone records from Rose's office to a phone number in Kentucky. We checked. The phone number was a bookie's office in Kentucky." How did the phone records emerge? "Unbeknownst to Rose, the owner of the Cincinnati team was annoyed at all these ... toll calls that were being made from the clubhouse, she thought, by players. So she put a notice out that all phone calls had to be recorded because she wanted to know who these guys were calling, and who were making the calls. She was getting phone bills. Now, Rose didn't realize that they were keeping all these records. And so as we put together the data, we found calls to the bookies..."
Vincent tells me the operating principle of the entire investigation was to be "overwhelmingly, and carefully and cautiously, fair." 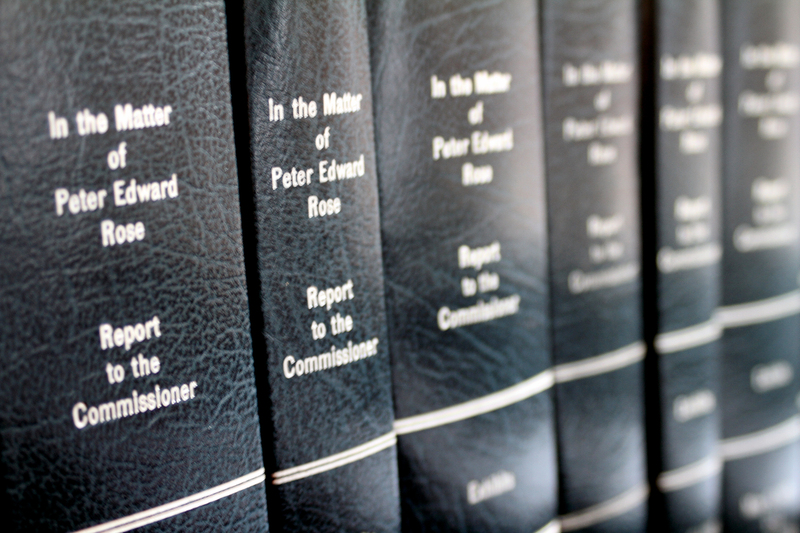 The investigative team would turn over to Pete Rose and his attorneys, each week, key evidence that was discovered. We were "not gonna hide the ball at all," says Vincent. "You guys don't realize it, but (Pete Rose) is the national treasure. He's the thing that represents baseball. And if you hurt him, you hurt baseball. And we're telling you you can't hurt him, because you're gonna hurt yourselves very badly." "... he's gonna use some very bad words. He's gonna say some words that are not befitting of the former president of Yale. ... And he's gonna say: 'Baseball is the national treasure, and not Pete Rose.'" What happened behind the scenes, between the first tip, Rose's denials, and the agreement that banished Rose from baseball, is a riveting story that Fay Vincent shares on this Wavemaker Conversations podcast. As for John Dowd, the 6-foot-5 former Marine whose investigation of Pete Rose has held up to 25 years of scrutiny -- he made his name in the Justice Department prosecuting high profile cases against organized crime. Dowd's investigation of Pete Rose would end up circling back to the Mafia. My Wavemaker Conversation with John Dowd is featured in Part Two of Inside The Pete Rose Investigation.